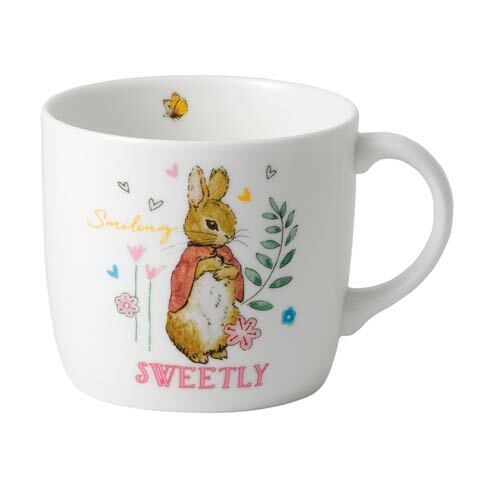 Features: The Tale of Peter Rabbit continues with Wedgwood's Peter Rabbit nurseryware collection. 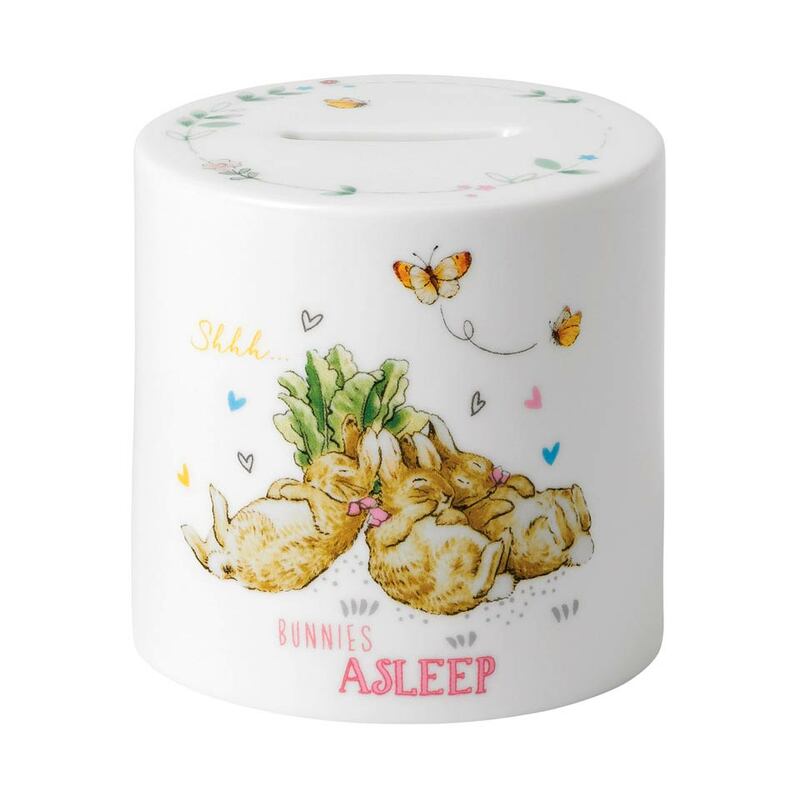 Inspired by the classic book illustrations, this Peter Rabbit Girl’s Money Box is designed with Peter Rabbit’s three sister bunnies, Flopsy, Mopsy and Cottontail, all fast asleep with butterflies hovering above and a phrase lifted from Beatrix Potter’s classic tale. A beloved keepsake presented in a pink Peter Rabbit gift box, it offers the perfect gift for new baby, Christening or birthday celebrations.